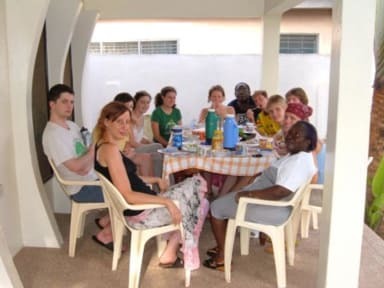 Crystal Hostel v Accra, Ghana: Zarezervujte nyní! Our objective is to provide visitors to Accra a safe, secured and comfortable home at affordable rates. Staying with us will be an experience you will never forget and you will always cherish. Some of our rooms are air-conditioned. Rooms with air condition attract extra charge of $5.00 per day. *have medical experience in nursing. 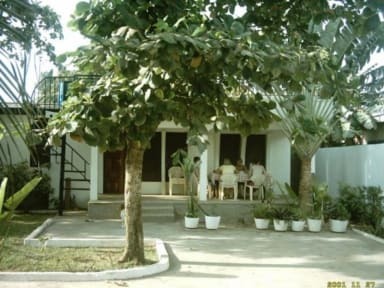 The house now offers tours to historical sites in Ghana including Cape Coast and Elmina Castles. In addition, lectures on Euro-African relations based on original research, are given. For instant, it was the Danes, not the English, who brought Central Government to Ghana and the Osu Township and Christiansburg Castle played a great role. We provide storage for guest’s excess baggage to enable them travel light on their tour of Ghana. This facility is FREE for guests who stay with us for at least five days. We shall pick you up from the airport if we know of your flight arrangements, particularly the name of the airline you will be flying into Accra. Obviously, you can never get all these facilities, at the rates stated, under one roof at the same time anywhere, not even in the star-rated hotels.